Last week, the University of King’s College School of Journalism wasn’t planning to send anybody to cover the 2015 World Junior Curling Championships in Estonia. Then Patrick Fulgencio stepped in and changed everything. 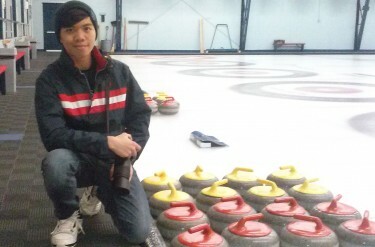 Fulgencio, a second-year journalism student, is headed to Estonia later this month, where he’ll shoot photographs for the World Curling Federation. The 19-year-old beat out more than 100 applicants around the world for the federation’s Sports Media Trainee Program, and the chance to cover the tournament. Fulgencio says he found out when he got a phone call from the WCF last Thursday. “(They) just asked me if I’d like to come with them to Estonia and shoot the tournament,” says Fulgencio. Every year, the WCF holds a contest for university students for the opportunity to take photographs at the World Junior Championships in February and March. Journalism schools around the world send emails to students before telling them about the opportunity. The federation asks interested students to submit 10 of their own sports photos and a list of their camera equipment. Before the end of January, the WCF picks three winners. For journalism students like Fulgencio, the opportunity is not only a great way to improve photo skills, but also to network. “I know networking is a huge part of photography,” says Fulgencio. Born in the Philippines, Fulgencio moved to Singapore as a child and lived there for nine years. He moved again, to Surrey, B.C. in 2013, before coming to Halifax for university. Wherever he is, Fulgencio says photography has always been part of his life. He still has digital copies of pictures he took as a child. There are a lot, he says, more than most children ever take. 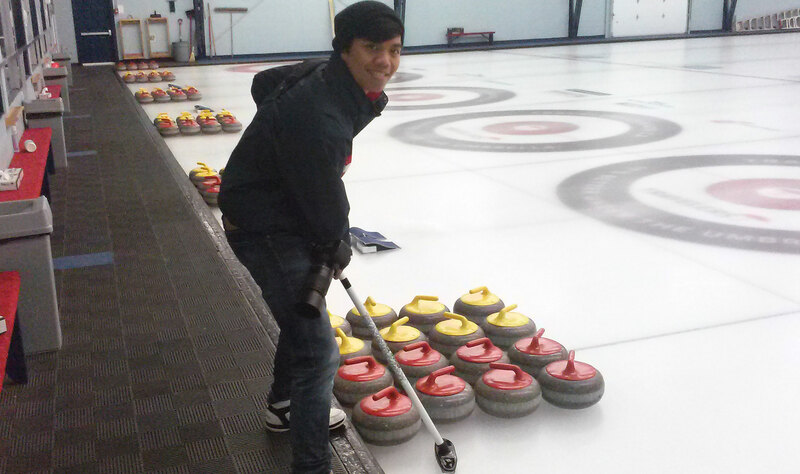 When he heard about the opportunity to photograph professional curling with the best in the business, Fulgencio knew right away he was going to apply. The WCF requires applicants to submit action shots of live sports. Fulgencio picked hockey, a sport he says he likes but knows little about. “I shot every Dalhousie home hockey game in January,” says Fulgencio. He is impressed by the speed of the game. While he has never photographed curling, he says he hopes to spend the next few weeks practising at the Mayflower Curling Club in Halifax. Then it’s off to Estonia for 13 days of professional work. “Now that I’ve found something so embedded in my character, I know photography is going to be part of my life and (hopefully) my profession,” says Fulgencio.